I recently received 2 books from you: (1) “Lord of the Flies” by William Golding, and (2) “Mother Teresa’s Lessons of Love & Secrets of Sanctity” by Susan Conroy. Thank you very, very much. 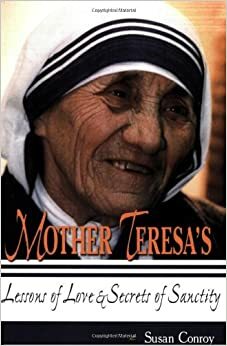 I absolutely love the book, “Mother’s Teresa’s Lessons of Love & Secrets of Sanctity”. Absolutely! I know I’m going to read it again and again. Of all the women who ever lived throughout the history of mankind, I admire Mother Teresa the most. How can I thank you enough for this precious treasure you gave me? Of course, I’m so grateful for “Lord of the Flies” too. Thank you again and again. And may God’s most abundant blessings shine upon you all.